Dublin’s new rail system is set to “transform connectivity to and from Dublin City University”, according to the college. Construction for the transport system, named Metro North, will begin in 2021 and is expected to be completed by 2027. 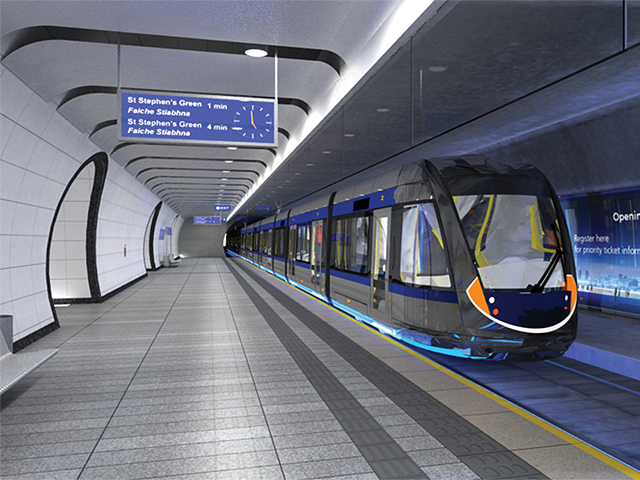 It will run underground from St. Stephen’s Green to Swords and will include stops at Drumcondra, DCU’s Glasnevin campus and Ballymun. “Metro North will open up the entire area linking DCU directly to the city centre, the airport and other parts of the city”, a spokesperson for the National Transport Authority said. As well as providing an alternative mode of transport for students commuting from both sides of the city, the metro, considered as a “long-anticipated investment” by DCU, will ease travel for students commuting between all three campuses. “[The project] is very welcome news for the university’s large and growing student and staff population, which now exceeds 18,000 and covers a significantly increased geographical footprint in the north Dublin region to include DCU Glasnevin campus, St. Patrick’s campus and All Hallows campus in Drumcondra”, said Declan Raftery, Chief Operations Officer at DCU. Raftery also believes that the new rail system will have a wider impact on DCU’s relationship with the surrounding communities of Ballymun, Phibsborough and Drumcondra. “This new infrastructure will be such a boost to the area and will allow DCU to realise its vision of driving social and economic developments through partnership with local authorities, enterprise and community organisations”, he said. As it stands, the only public mode of transport which services DCU is Dublin Bus, with ten of its sixteen routes from both sides of the city passing by all three campuses. Private bus companies Matthews Coaches and JJ Kavanagh & Sons also provide a service for students.